Salem today would be almost unrecognizable to its seventeenth-century settlers. The magnificent feats of risk and development that took place over a short 400 years drastically changed the city. With a keen eye, some leg power, and a bit of imagination, remnants of this past can still be found. Come with us on a journey to rediscover old Salem, and learn about the globally impactful events and ideas that created this city. Experience Salem in 5k. 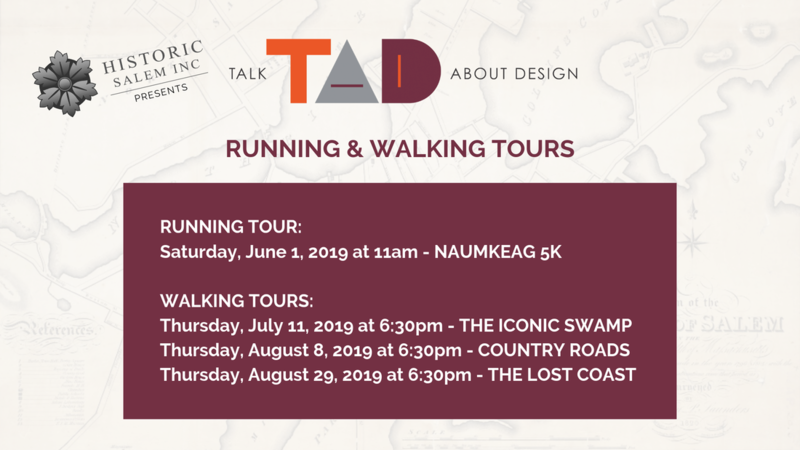 Covering the Native American origins, first European settlers, and the city's original layout; this run takes you to some of the oldest areas of Salem. Intended for runners of all levels; there are 5 stops along the route to learn about key locations, people, and moments of Salem's origin (each with a chance to catch your breath). Washington and Essex are two of the oldest ‘ways’ in Salem, existing well before any European set foot on these shores. On this walking tour, we'll trace their history from footpaths to modern main streets.